Do you ever find at the end of the holidays, no matter how wonderful they have been, you feel something was missing? Some new gift of self-love to be unwrapped. Some delicious feast of self-awareness to be prepared and enjoyed. Some tradition of self-attention to be celebrated. This longing doesn’t happen at any other time of year. Holidays—national, cultural, religious—come and go with the seasons without arousing such a deep, unmet need for going within oneself. Give yourself an Inner Christmas! The Holy Nights are 12 nights of inner spiritual mystery. Beginning at sunset on Christmas Day and ending at sunrise on Epiphany, the veils lift that hide the spiritual world from our ordinary consciousness. You can experience this mystery if you are willing to pay attention. Inner Christmas supports your soul’s attention during the 12 Holy Nights. Receive The Guide to Inner Christmas when you join the Inner Christmas List. You will also receive emails about Inner Christmas, Lynn's Posts and the Imagine Self Academy. Your information is sacred and will not be shared ever. 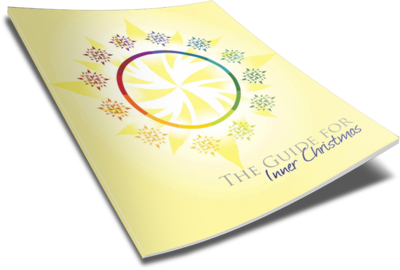 Join the list and you will immediately receive the link to download this beautiful 33-page pdf, The Guide to Inner Christmas. The Guide provides essential wisdom about the universal and intimate meanings of Inner Christmas and the Holy Nights and suggestions for creating an ensouling and enlivening practice for your intimate experience of the Holy Nights every year. Join the list for insights every year. Then subscribe to the Inner Christmas Messages for a specific path through the Holy Nights each year. Christmas and the Holy Nights can be so much more than you ever dreamed they could be when you have a focus and a path. What a journey that was through the Holy Nights! I learned so much about myself–both my beautiful parts that I can now allow to shine more brilliantly, and the parts that need bolstering and encouragement to step out and show themselves. 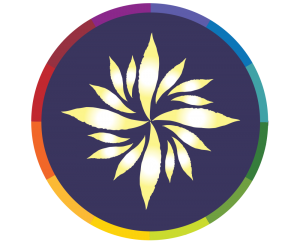 This year will include the exciting adventure of integrating these parts, bringing them together, and doing the work of establishing harmony between them. As with all Imagine Self offerings, Inner Christmas serves your inner journey to find, know and become your truest self. Each message is composed to bring you to a new understanding of who you are. And a new joy in being you! The theme and the messages of Inner Christmas offer inspirations beyond any beliefs or traditions. They are universal. Since 2004, Inner Christmas has been celebrated by thousands of individuals, families and groups in over 70 countries. Hi Lynn! You ARE crazy! In the best possible sense. My husband and I went through your Inner Christmas journey and we can’t put into words how it has absolutely, quantumly, nourished our souls. We are so grateful. Sending you our heartfelt thanks. A dear friend give me “inner christmas” as a gift and it really was the best gift I have received in years. Each night words and theme took me on a tour deeply and I deeply thank you for your wisdom and generosity to share this beauty. I am sharing with my friends. Messages of inspiration arrive in your inbox each of the Holy Nights (December 25 — January 5). 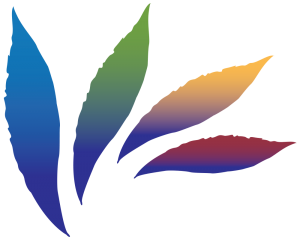 The twelve messages offer new ways to embrace and celebrate yourself. An opening message arrives on Christmas Eve and a closing message comes on January 6, Epiphany. Fourteen messages in all. Each year the messages arise from a uniting theme. The twelve perspectives on the theme are filled with wonder, wisdom and warmth to encourage reflection and awareness. To receive the Inner Christmas Messages this year you will need to subscribe and make a contribution. Click here to learn the theme of the Inner Christmas Messages 2018.